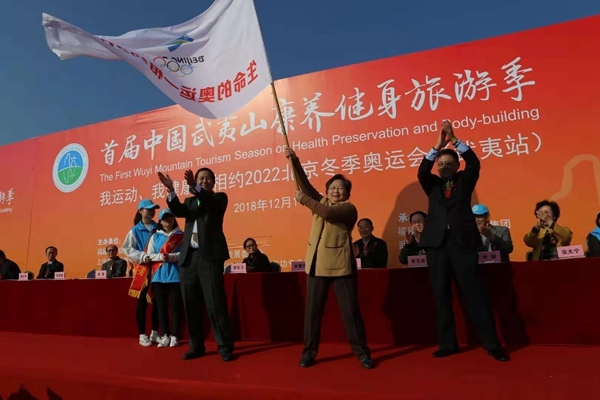 Following the proposal to build "beautiful China", the "healthy China" strategy has been upgraded to a national strategy, opening up a new blue ocean in the era of "great health". With the improvement of living standards and the diversified development of health needs, the health industry, covering old age care, health cultivation and tourism, has become an emerging industry that has received much attention from the people. 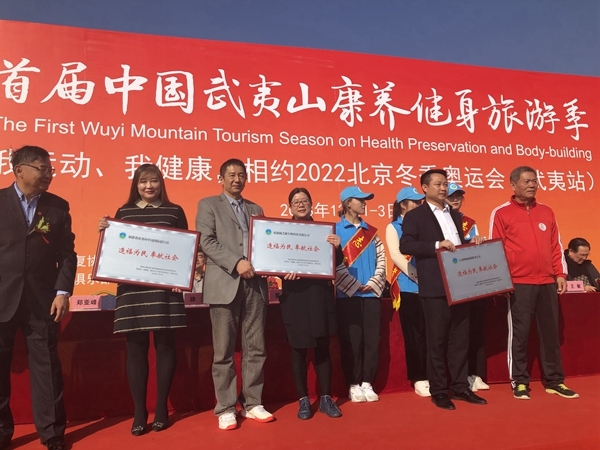 In this context, on the morning of December 1, the first China Wuyi Mountain Tourism Season on Health Preservation and Body-building, co-organized by Fujian Provincial Cancer Rehabilitation Association, Shanghai Cancer Rehabilitation Club, Beijing Anti-cancer Park, Fuzhou Cancer Rehabilitation Association, and benevolent enterprises such as Fujian GANOHERB Corporation, initiated in Wuyi Mountain. 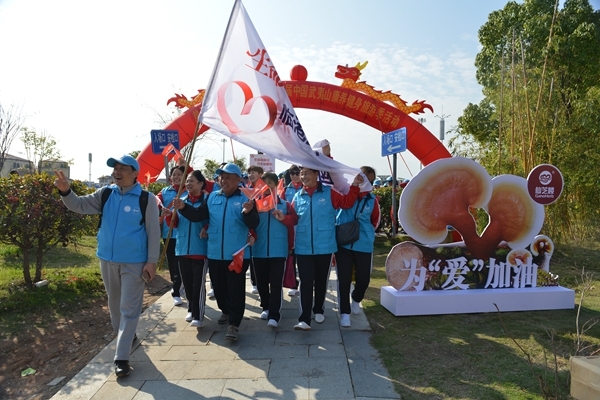 Nearly 2,000 people from Nanping City Tourism Development Committee, the relevant leaders of Wuyishan Municipal Government, and representatives from cancer rehabilitation associations across the country attended the opening ceremony. 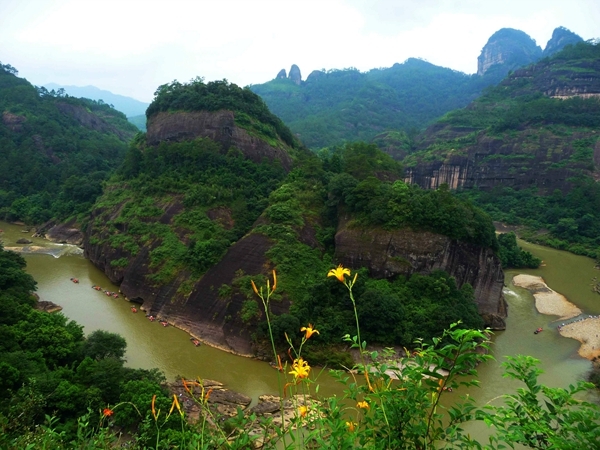 Wuyi Mountain is a world heritage site of both culture and nature. The air quality continues to be the first in Fujian. The national negative oxygen ion content of the national nature reserve is as high as 80,000-110,000 per cubic centimetre, which is known as "natural oxygen bar". The good mountains, good water, good air and good ecology here are both a tourist attraction and a birthplace of Chinese log-cultivated Lingzhi. Ganoderma Lucidum, a gem of Chinese medicine culture for 5,000 years, has gradually become a "new darling" in the health-preservation tourism industry. 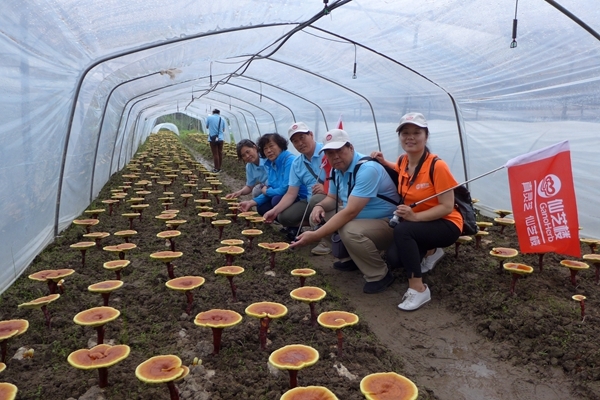 Located in the hinterland of the Wuyi Mountain and at the source of Minjiang River, Oujiang River and Xinjiang River, GANOHERB Organic Ganoderma Plantation, attracted thousands of people from home and abroad to explore and enjoy the fun of health preservation with Ganoderma lucidum. In this fitness and tourism season, GANOHERB, as a co-organizer, specially prepared a delicious "Ganoderma lucidum feast" and a lively and interesting Ganoderma lucidum lecture for representatives of rehabilitation associations from all over China to further guide the patients for better knowledge of developing a healthy lifestyle with Reishi Mushroom. At the opening ceremony, on behalf of Shanghai City, Ms. Yu Huiwen, a consultant of the Shanghai Charity Foundation, the winner of China Charity Award and the winner of the National Charity Special Contribution Award, handed over the banner of "I exercise. I am healthy. 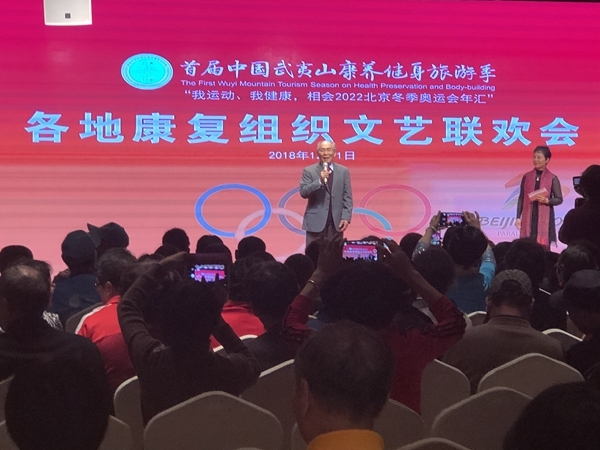 Meet in 2022 Beijing Winter Olympics" to the representatives of the relevant Fujian Organization. At the same time, a donation ceremony was held, and four charity companies, including GANOHERB Group, donated 100,000 yuan to the organizers of the event. In fact, since 2009, GANOHERB has been committed to the cause of public welfare and anti-cancer for ten consecutive years. GANOHERB organizes "five-year birthdays", "public lectures", "expert visits" and other activities for rehabilitation groups in Fuzhou, Beijing and Nanjing. And in the annual anti-cancer week, GANOHERB also donate loving Reishi products worth more than one million yuan to the national cancer patients so as to encourage them to fight against cancer optimistically and scientifically. 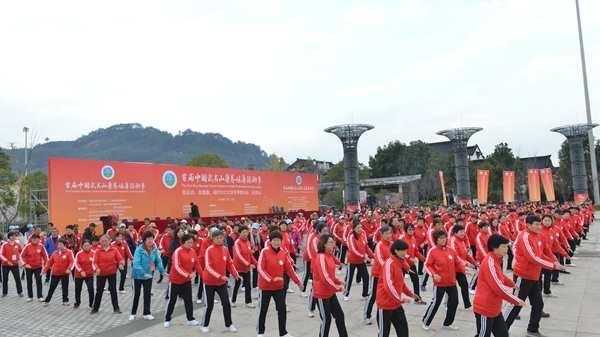 In response to the national call for the national fitness campaign, the opening ceremony of the Tourism Season on health preservation and body-building was announced by Li Youcun, the former director of the senior cadre bureau of the Central organization department and the work department head of People`s Daily, with the activity themed [Brisk Walking in Wuyi Mountain Participated by about One Thousand People"as the finale. 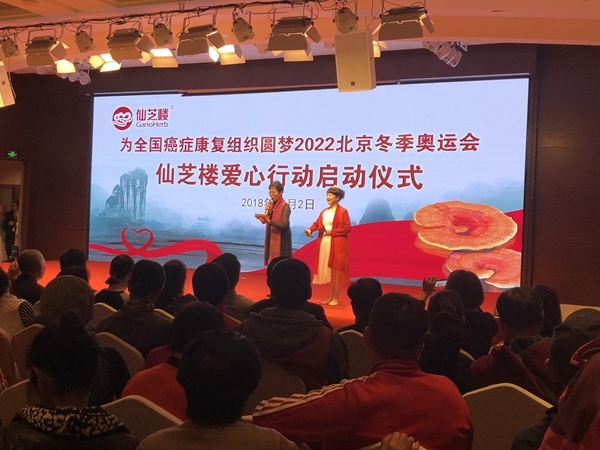 On the evening of the same day, the organizers also held the "Starting Ceremony for GANOHERB's Loving Activity for the National Cancer Rehabilitation Organization to Realize the Dream of Watching 2022 Beijing Winter Olympics on the Scene" and "Arts Festival Gala". To meet cancer friends from all over China at the Beijing Winter Olympic Games, GANOHERB committed to sponsoring them travelling expenses for Winter Olympics, offer its national stores free of charge to the local rehabilitation groups as activity offices, and present them anti-cancer science books. By its actual activities, GANOHERB aided to realise "healthy China."